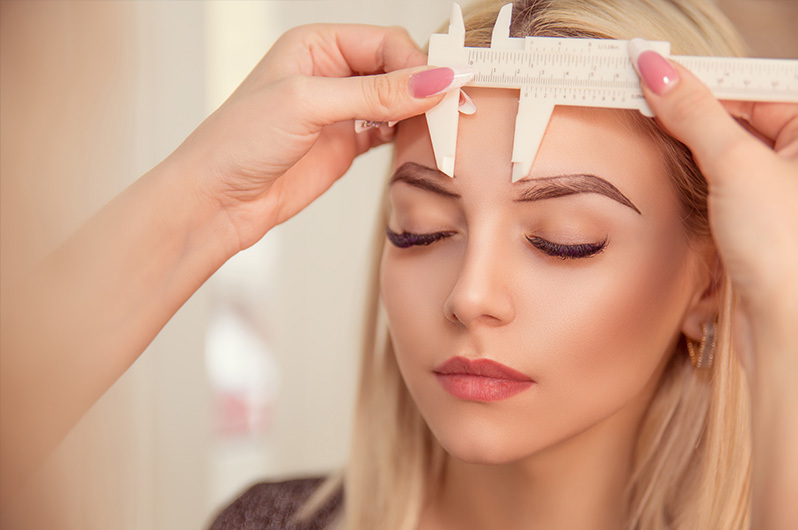 Permanent makekup procedures are affected by the characteristics of your skin. If your skin is sun damaged (even from tanning beds), thick and uneven in texture, or excessively dry or oily, the result cannot be expected to be perfect after the initial procedure. Lifestyle, medications, smoking, metabolism, facial surgery, scar tissue, and age of skin all contribute to pigment retention and fading. The healing process will take a minimum of 4 weeks, which is the average time it takes for cell turnover. It is highly recommended that a touchup be performed 4-6 weeks after your initial procedure. This ensures the best result, and keeps your makeup looking its best. How you follow your after care directions will have a big impact on your outcome. Apply a light coat of ointment with a clean Q tip 3-4 times a day including prior to bathing and going to bed for 5-10 days or until healed. Sleep on your back for the first 3 days and use an old, but clean pillow case. Avoid Sleeping with animals for 5-10 days until healed. If your brows get wet, gently pat dry, do not rub. Once completely healed apply a light coating of sun screen to protect them from fading. Your brows will appear very dark for the first 3-5 days, this is normal, they will lighten up considerably. After the third day they may start to itch and feel tight as they start to heal. Skin may start to become loose, do not pick or pull, you may pull pigment out. Once the color finishes flaking, the area may appear softer and grayer for a few days until the color clarifies. DO NOT use any topical antibiotic products. This can cause an area to heal improperly and some individuals may develop an allergic response.